The triple j Annual 2016 has landed. With the help of our presenters and other pen-savvy sorts, we’ve sifted through what went down this year to muster the 99 Moments That Mattered — and they’re packed into one top-notch collectable edition that celebrates all things triple j. The offerings are diverse: think a supreme pizza, but in print form. There are in-depth features on your favourite musos, heartfelt tributes to the legends who left us, gutsy social commentary, activities and info graphics galore,plus lashings of sweet illustrations and photography. 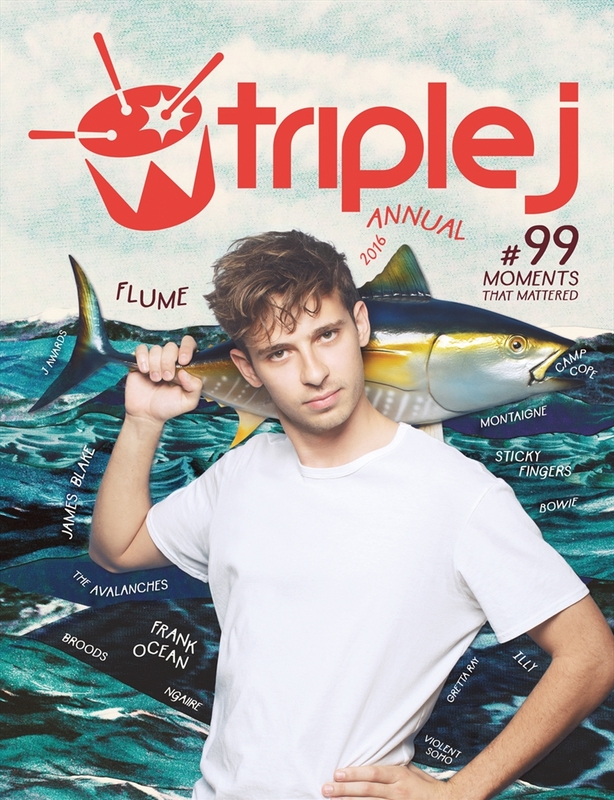 When you add the fact that the cover — starring Flume and a massive tuna — is almost dripping with omega-3, the triple jAnnual 2016 is definitely worth making room in your net for.